With many interesting attractions and unique features, The Standard ® Hotel is becoming a more prominent name in the hospitality sector. 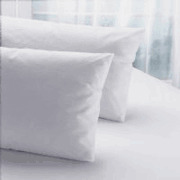 The Standard ® understands the desire to feel comfortable and welcome when away from home, which is why they chose to ensure that their customers had the highest quality bedding available. You too can appreciate the coziness found in the rooms at The Standard ®. Order Today!